There are many opportunities for waterside running in Taipei. 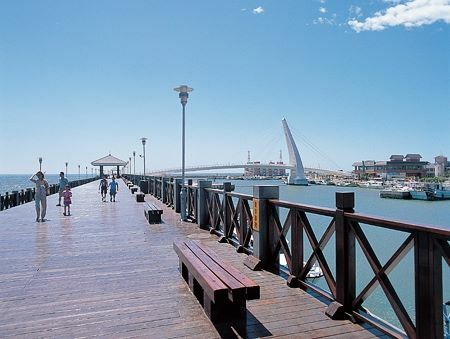 A favorite is along the Tamsui River, where there are paths on both the right and left banks. On the right bank, the path runs for 9 km from Yanping Riverside Park near Dadocheng Wharf to Shezi Island. There are good water views much of the way, and it’s great for sunrises/sunsets. It’s a fun way to explore the various attractions of the Dadocheng area There’s a good rest stop just before Shezi Island, which features water and bathrooms. The surface is a mix of paved and dirt. On the left bank, the best path section is from the Taipei Bridge, through Tamsui Riverside Park, for 4 km. The Chongyang Bridge is the best to cross on foot if you want to do a loop run.